5 Reasons Why This Indonesian Island is One of the Most Unique Places You Can Visit on Earth! 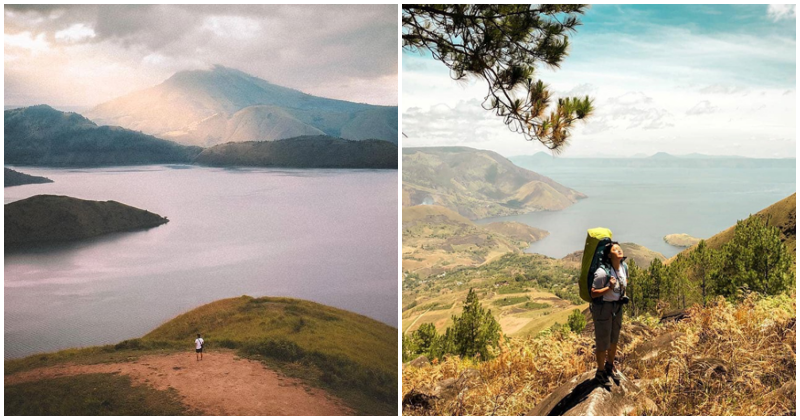 If you’ve been keeping yourself up-to-date with our articles, you would have probably noticed our recent fascination with Lake Toba — the largest volcanic lake in the world situated on the island of Sumatera. But perhaps what makes the lake even more unique is Pulau Samosir, which is an island located at the centre of the lake! What?! An island within an island?! So, if you’re looking to trade-off the energetic crowds of tourists in Bali for a more laid-back and peaceful vacation in North Sumatra, then here are 5 things you must do in the beautiful island of Pulau Samosir. 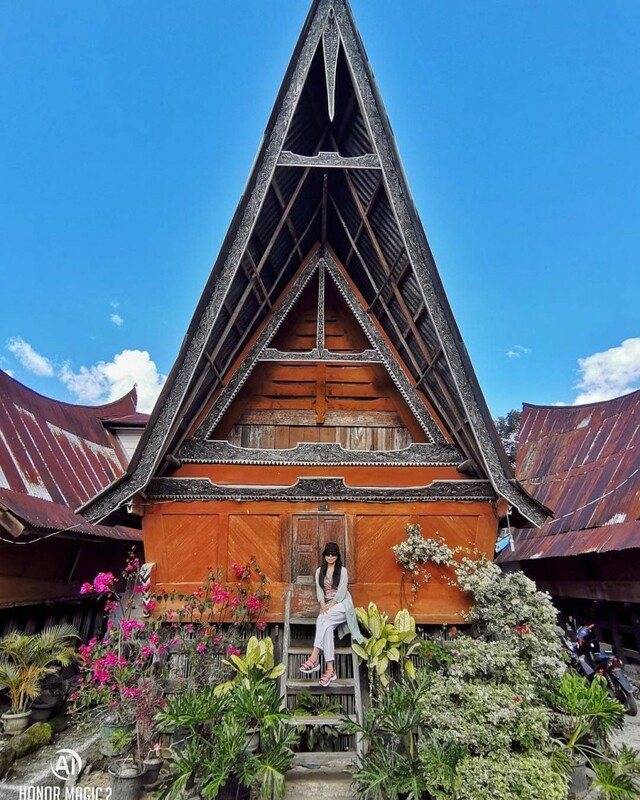 Best known as the gateway and introduction to Samosir island, Tomok village boasts a variety of things to do and sights to see, making it a worthy inclusion in your travel plans. Capture Instagram-worthy photos of traditional wooden Batak houses and watch the Sigale Gale puppet show. Pay your respects at the final resting place of King Sidabutar and discover the legend behind the carvings on his tomb. Shop till you drop at Tomok market which sells a variety of traditional souvenirs such as clothing known as Ulos, which are traditionally worn by the Batak people. Bukit Holbung is a hill located near the village of Huta Holbung in Samosir. A short 10 to 15 minutes hike, this hill is famous among locals and tourists alike! Picturesque greeneries, magnificent mountains and the crisp air. This is also a popular camping spot if you want to enjoy a beautiful night under the starry sky! It’s also known as the “Teletubbies Hill” due to its similarities to the landscape in the popular kids’ TV series! No vacation is complete without food. Thankfully, there are plenty of local delicacies to enjoy on Samosir island, ensuring that you’ll never go hungry. Mie Gomak is a traditional curry noodle dish of the Batak people that you must try! The dish is served either fried or in a broth and is often regarded to as the ‘Batak Spaghetti’ due to the similarities of the noodles’ shape. Batak Grilled Pork with Andaliman spices, another dish that’s unique to the Batak people. ‘Batak sushi’ or Naniura, which is essentially raw fish marinated in a mix of spices and herbs without being exposed to fire. 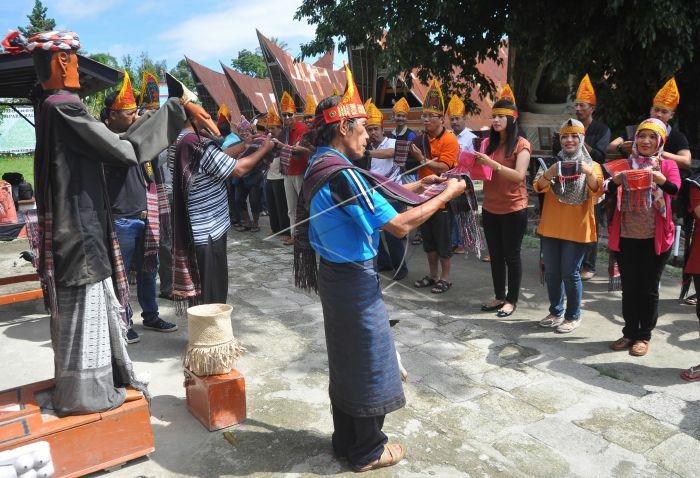 A traditional dance of the Batak ethnic group, the name “Tor Tor” is actually derived from the foot pounding noises made when the locals engage in this dance. The Tor Tor is normally accompanied by ceremonial music using instruments called the ‘gondang’. The rhythm of the music changes according to the occasion i.e. more solemn during funerals and more upbeat during festivities. Each movement of the Tor Tor has a profound meaning, which incites emotions and interactions amongst its participants. Special garments called Ulos are worn over the shoulder of every dancer. 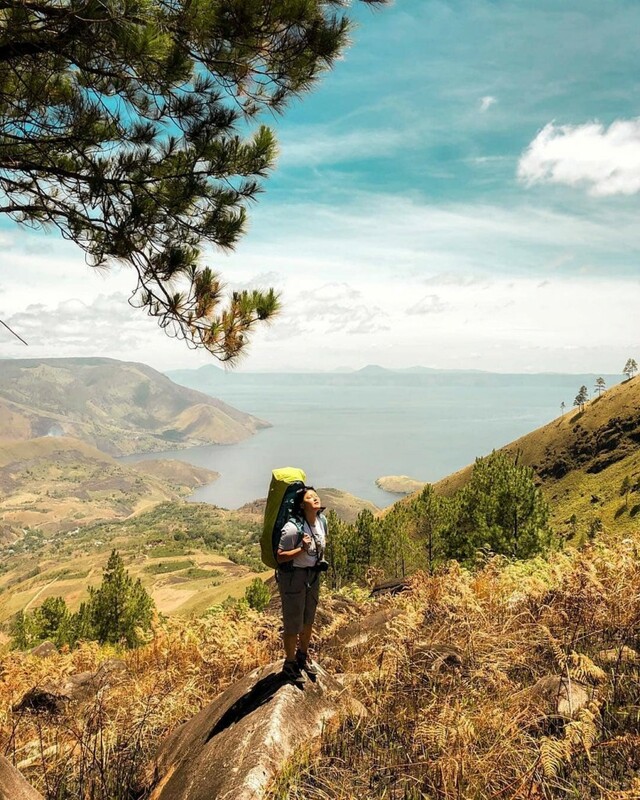 The best way to soak in the wondrous beauty of the Samosir countryside is by cycling and hiking the magnificent countryside. Although it may quite bumpy, the paths along the mountain from Ambarita to Tomok is a visceral experience you can’t find anywhere else in the world! The view becomes more stunning the further up the hill you are as you can see breathtaking views of rice fields and of the Toba lakeside. Rent a bicycle easily (as there are many places which offer rentals – usually for RM9 per day) and stroll through the area while taking in the breathtaking views. Book a flight to Silangit International Airport via AirAsia. Flight time is only approximately 1 hour 20 minutes and available every Monday, Wednesday, Friday and Sunday. Return flight fares start at only RM234.88 per pax! When you’re on Samosir Island, the best mode of transportation has got to be by motorbike, which you can easily rent for RM30 per day! Awesome! Looking at how stunning this island is, we can’t deny that it’s definitely one of the most beautiful places on Earth. Don’t you agree? For further info about Pulau Samosir and other wonderful places that you can visit in Indonesia, click here.